Hey, TCB here. 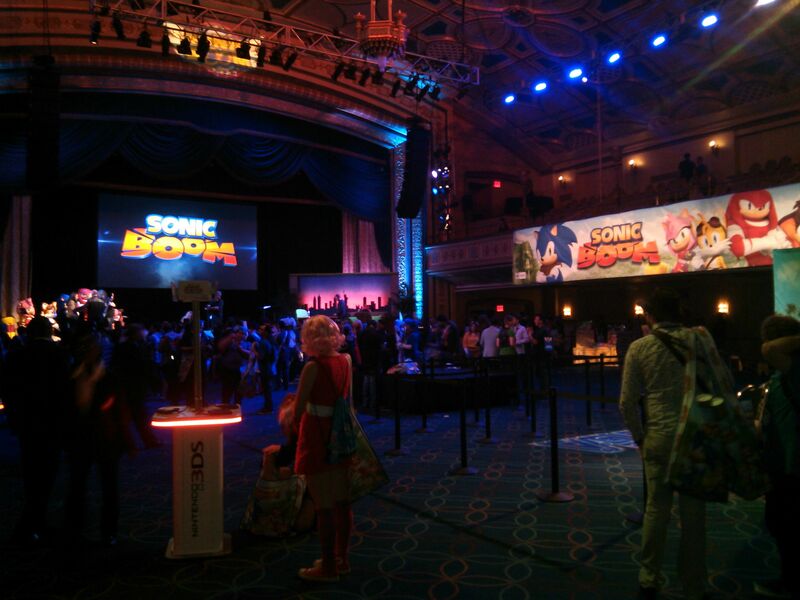 If you haven't heard by now I was one of the two RadioSEGA representatives who attended Sonic Boom '14 along with my brother Twinny. This is the account of my time there; sports tape not included. So let's jump in shall we? Wow. What a night. 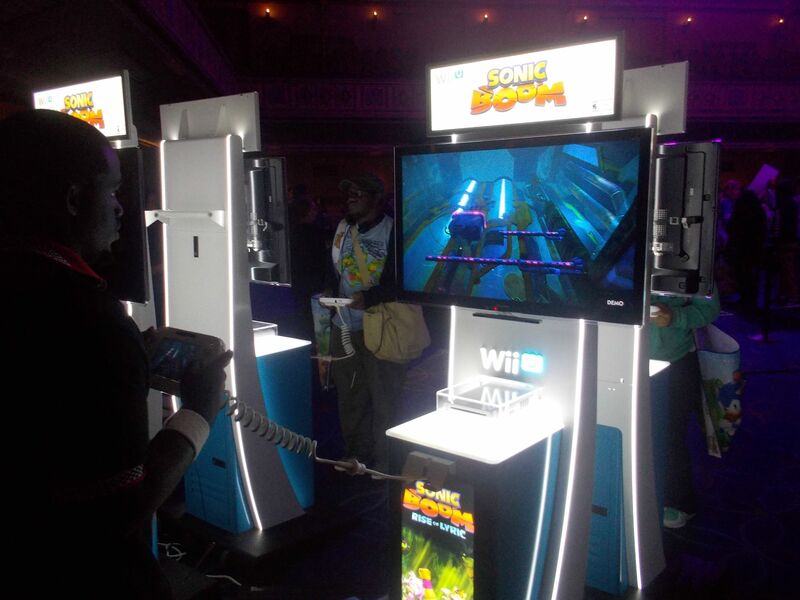 Truly awesome; I'm so honored to attendâ€ª Sonic Boom. Not just as a regular attendee, but also representing RadioSEGA. Big thanks to all the special guests for taking their time to meet with fans and have a good time. The demo I had more time with was Rise of Lyric. Tried that Sonic/Amy level and played as Sonic. Now personally; it did click with me. I didn't get all the controls down, and yes I was initially unaware that the jump button was not where I thought it will be mapped to. Once I got over that though things went well enough. Sonic did control odd at times when it came to the combat yes, but I didn't expect to play as Sonic from the main series of games. The one thing I didn't get the feel for was the Enerbeam mechanic. Moving onto the cosplay contest...Frost was hosting (of course) with Jun and Iizuka as guest judges. Now here is what I don't understand...if there were judges on stage specifically to well, judge, why did that part of the contest become irrelevant when Frost decided to let the fans decide? 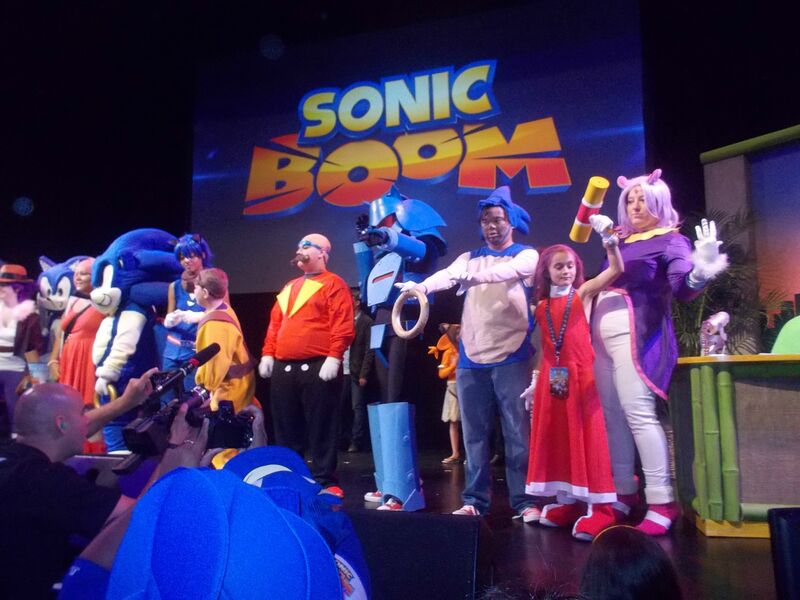 Reason why I'm saying this is because when an Excalibur Sonic cosplay took to the stage it got some very good cheers. Jun was even amazing by how well it done. Nevertheless, perhaps there needs to be better organization next time. 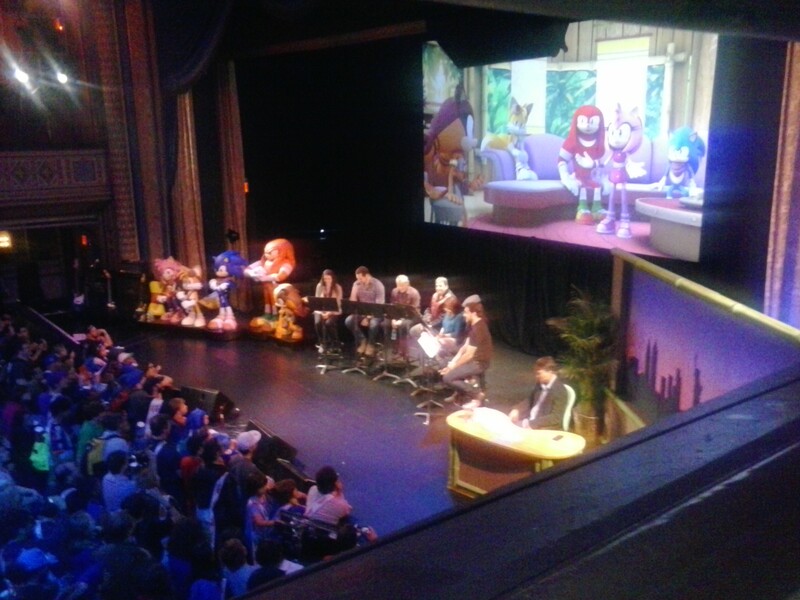 To the live reading...that was a blast. The whole cast bounced off each other perfectly and without any issue. To the musical performances and the closing live performance; the crowd loved every minute of it. Favorites included performed by Othani-san and Jun were; It Doesn't Matter, The Deadly Six Theme, Metal Harbor, Seaside Hill and Rooftop Run. 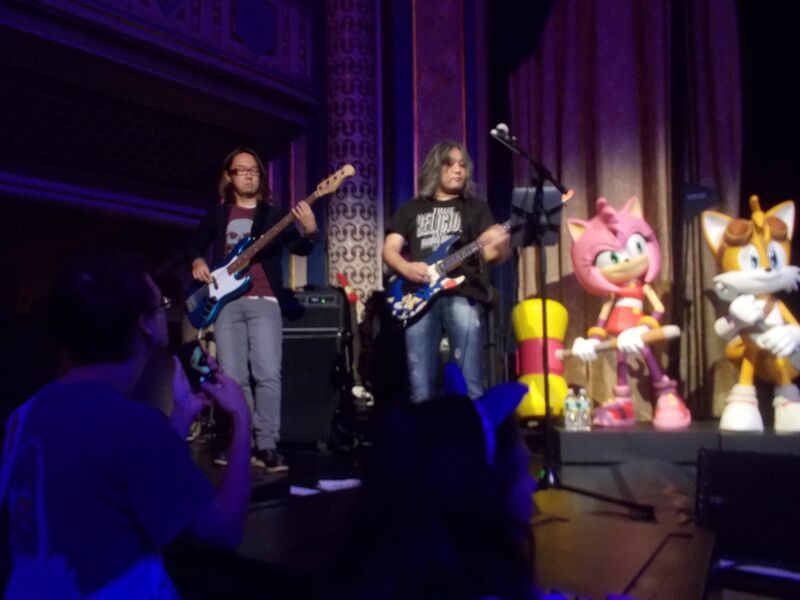 The ending musical act included Tony Harnell and Ted Poley. Before it started Tony Harnell was asking when can they start as the fans were eager to rock out. He even egged (no pun intended) the fans to put on one of those Sonic hats. When the performance actually started...man was it loud. I was up in the vip/media section (balcony) close to the stage, and my gawd the noise was something else. At some point it was difficult to hear Poley and Harnell due to the noise level. The four performed Sonic Boom, We Can and Escape From The City. Also met with some awesome people before and during the event. From those at Radio Nintendo, Tails Channel, Sonic Revolution, The Sonic Stadium to be more specific. I'm so glad I got meet certain people I wouldn't be able to see otherwise. Also met with Ogilive from Sonic Revolution, cdrom1019 from Radio Nintendo, The Iceman/Iceman Etika (former SS:R DJ and lives right here in Brooklyn, NY), Matt from Tails Channel and others. I did see a rep from Sonic Retro as well as the guys from FindTheComputerRoom. I also (finally) met up with SonicYoda from SEGADriven, who also works with RadioSEGA*. I even met with the wonderful, oh-so wonderful T-Bird from The Sonic Stadium. *cheap plug to listen to the Cyber Razor Cut, Wednesdays on RadioSEGA! To end this off, I just want to say thank you to Mr. Stephen Frost for being such a great host that night. 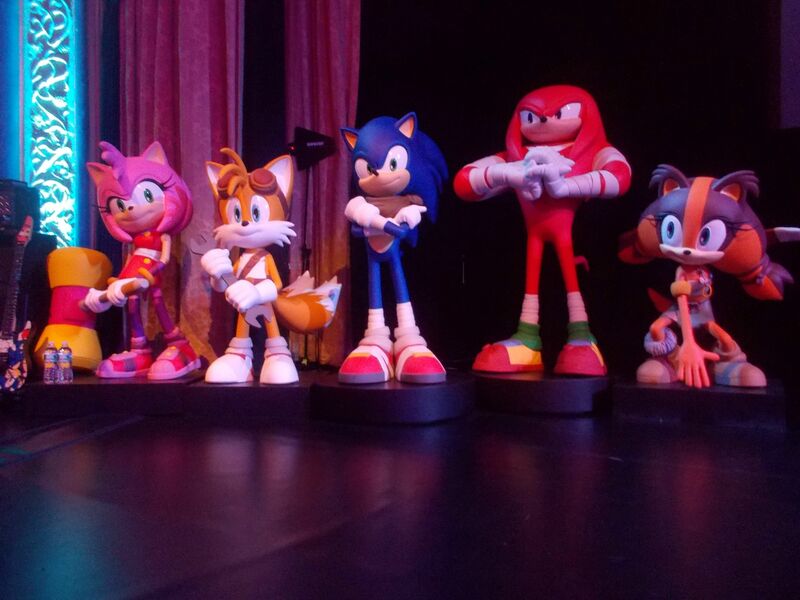 Thank you to SEGA of America, specfically Kellie for letting us go as members of the media. Thank you to the special guests who took the time out their busy lives to meet up with Sonic fans from not just the Big Apple, but the world over. Last but not least, thank you RadioSEGA for giving me the oppportunity to experience something like this. I feel as though it revitalized the reason why I'm a fan of the series to begin with. My brother will also have his write up of the event from his perspective, so be sure to check that out. Until next time.